I’ve been hinting about this new DJI Phantom product release for a bit now, most recently in “The DJI Phantom 4 Rumor Mill” and “Is DJI Dropping Hints About A New DJI Phantom 4?.” Now, March 1st, we’ve got some real facts and you can now order your DJI Phantom 4 as well. As you can expect, a product release like this has the entire Internet buzzing. Here are just a few examples. The world’s largest drone maker is releasing a new consumer drone with camera that can lock onto a person or animal and follow them, avoid objects in its path and fly back to its base on its own. “It is a pretty big deal,” said Colin Snow, an analyst with Skylogic Research, a Redwood, City, Calif.-based drone analysis company. 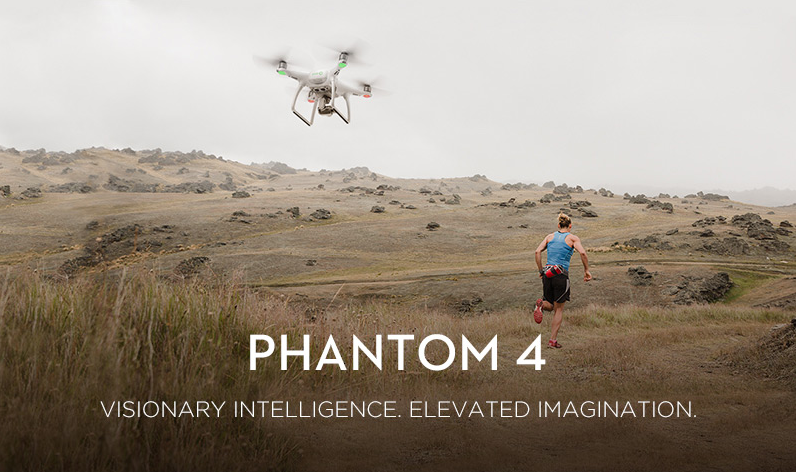 The Phantom 4 is available for pre-order beginning March 1. It can run for 28 minutes on a single battery charge and fly up to 45 miles per hour in sports mode. Most of the upgrades to the three pound quadcopter are incremental, but together they make a compelling buy for hobbyists and semi-professionals, said Snow. Racing stripes don’t make you faster. If you doubt that, consider this: The DJI Phantom 4 is the first drone in the popular Phantom series without stripes, and it’s the fastest one yet. Better battery life, fancy new automated flight modes, and a slicker design only sweeten the appeal of a drone that comes with its own pair of eyeballs. The Phantom 4 is the most advanced and easiest to fly Phantom yet, and it arrives even as DJI dominates the US consumer drone market. The Chinese company built nearly half of the drones registered in the country. The company claims 70 percent of consumer drones worldwide are DJI models. And the Phantom series is the most popular DJI drones. It’s like the iPod of drones, or possibly more like the Honda Civic of drones. The offer easy operation, advanced controls, and strong imaging features at a somewhat affordable price. Unlike last year’s Phantom 3 drones, which were available in tiered configurations, the Phantom 4 is offered as a single model—for now, at least. At CES the last two years we finally saw drones that could sense and avoid real-world obstacles. But those were just tech demos, R&D projects which so far haven’t been made commercially available. That all changes today with the introduction of DJI’s new drone, the Phantom 4. It’s the first consumer unit that can see the world around it and adjust accordingly, the next big step towards a truly autonomous aircraft. Try and drive it into a wall, the Phantom 4 will put on the brakes. If you ask it to fly from your position to a spot across a river, and there is a bridge in between, it will make a judgement call: increase speed to clear the obstacle or, if that isn’t possible, stop and hover in place, awaiting your next command. The Phantom 4 accomplishes this feat with the help of five cameras: two on the front and two on the bottom, plus the main 4K camera that has always been onboard to capture video. The images captured by these cameras are run through computer vision software which constructs a 3D model of the world around it that the drone can intelligently navigate. DJI’s tight integration with Apple devices plays a key role in the autopilot and auto-follow capabilities of the Phantom 4. Watching a live feed from the drone, users can select a subject with their fingertips on an iPhone or iPad, highlighting whatever they want the Phantom to automatically film and follow. 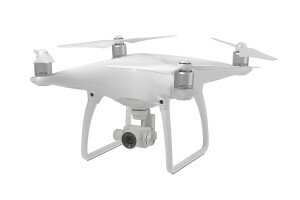 DJI says its advanced algorithms allow the Phantom 4 to intelligently fix on and follow a moving object without the need to scan it from every direction. In fact, the new autopilot modes make it possible to take off, fly and film with the Phantom 4 using an iPhone or iPad entirely, without even touching the thumbsticks on the drone’s physical controller. With such a major product release, you can expect a deluge of stories. You can easily track the latest using Google News.